Like made of stars dust, Solstice collection includes 2 shapes of serving plates and this the larger version. 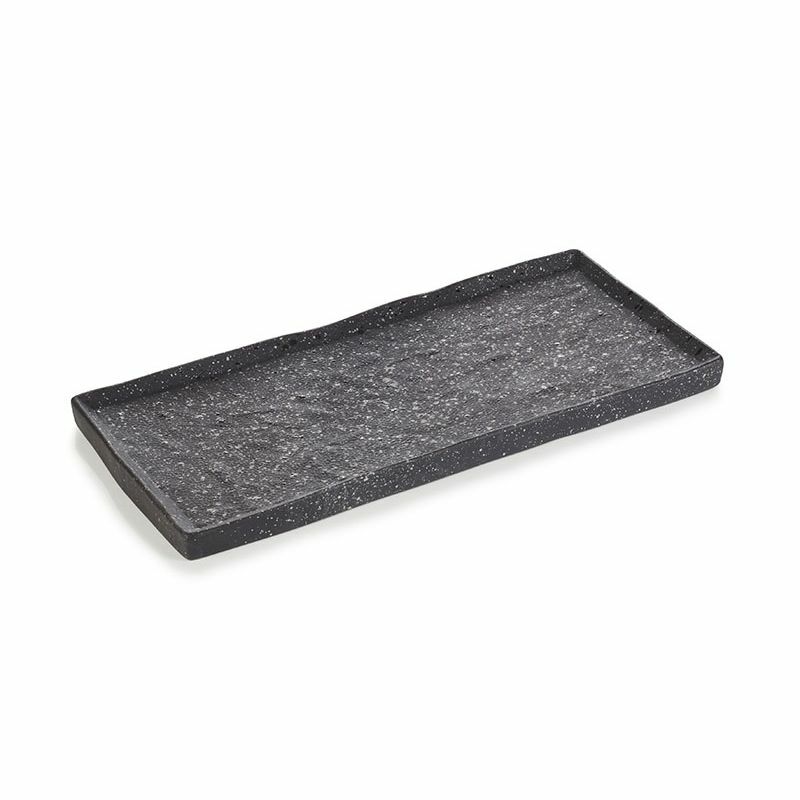 Available in 5 different finishes, the trays are made of black porcelain all the way through. 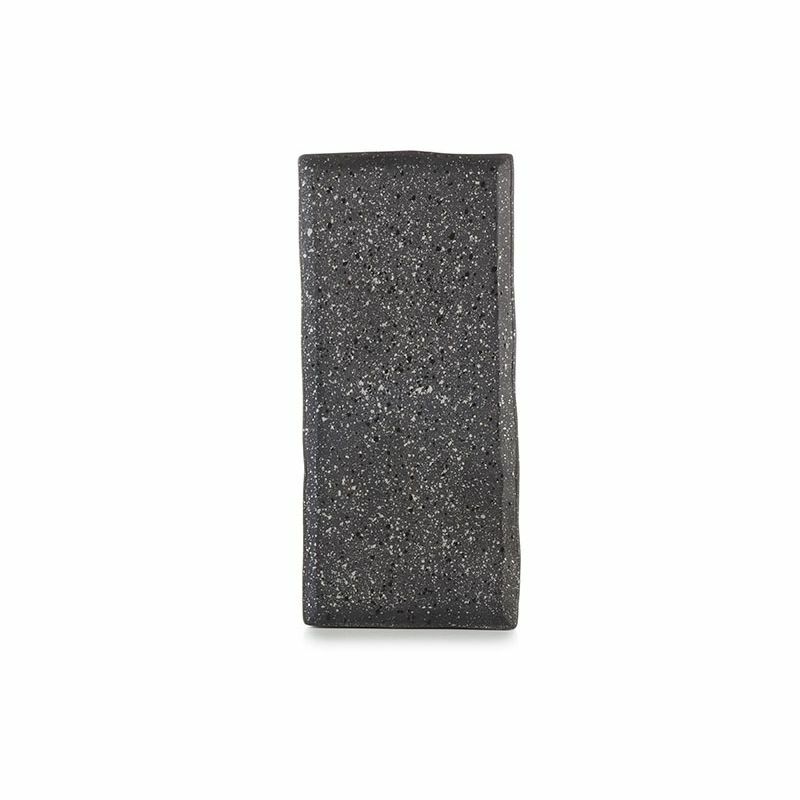 This is the Cosmos Platinium finish: a dark and deep finish with touches of platinium sparkles. Matching bowls are also avialable. Oven and dishwasher safe. Freezer and dishwasher safe.